A study in the northern Republic of Congo found that gorillas and chimpanzees both became scarcer at the onset of logging. However, gorillas move backed into logged areas more readily, while chimpanzees were more likely to stay away. The researchers believe that gorillas are better able to cope with logging because they’re not as territorial as chimps and they seem to be more flexible in their eating habits. As timber companies move into Central Africa’s forests, apes increasingly have to find ways to survive in the altered forests they call home. Scientists still don’t know the full impact of logging on many animals, but now a new study suggests that gorillas stand a better chance of adapting to thinned-out forests than chimpanzees. 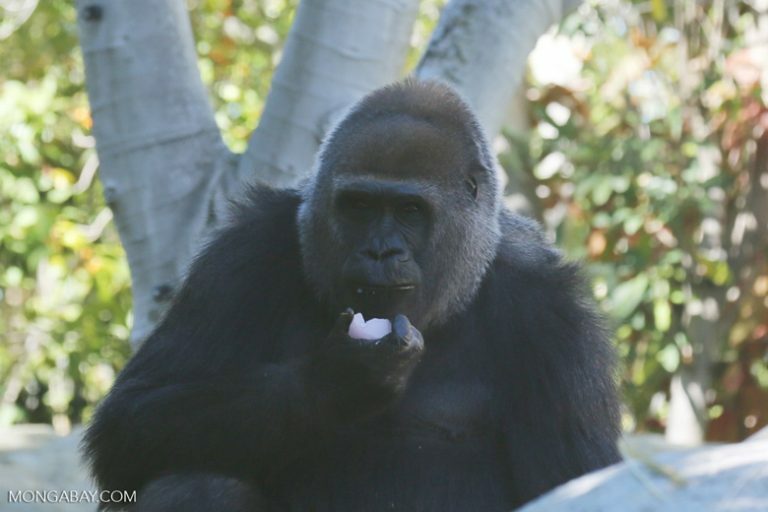 The research, published Nov. 26 in the journal Biological Conservation, finds that logging initially drives out both western lowland gorillas (Gorilla gorilla gorilla) and central chimpanzees (Pan troglodytes troglodytes). But later on, the unique ways in which each species reacts leads to a divergence in their responses. “Because gorillas aren’t territorial, they’ll slip right back into those areas and groups will feed relatively close to each other,” Dave Morgan, a biologist with the Lincoln Park Zoo and an author of the study, said in an interview. How apes fare in logging forests was a perplexing question for Morgan and his colleagues, he said, because both chimps and gorillas are intelligent and adaptable animals that have colonized a variety of habitats across Africa. Between 2004 and 2012, researchers from the Wildlife Conservation Society and the Goualougo Triangle Ape Project, which Morgan co-directs, counted the number of chimpanzee and gorilla nests along transects through a logging concession in the northern Republic of Congo. They collected data before logging took place, as well as in the midst of the harvests and afterward. The team also noted the proximity of nests and other signs in relation to the apes’ preferred species of trees for food. The Kabo concession where the research took place is Central Africa’s first to be certified by the Forest Stewardship Council. 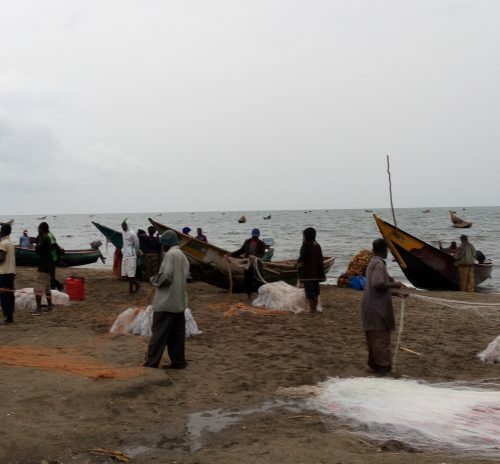 As part of its pact with WCS and the Congolese government signed in the late 1990s, Congolaise Industrielle des Bois, the operating company, inventoried the tree species present. 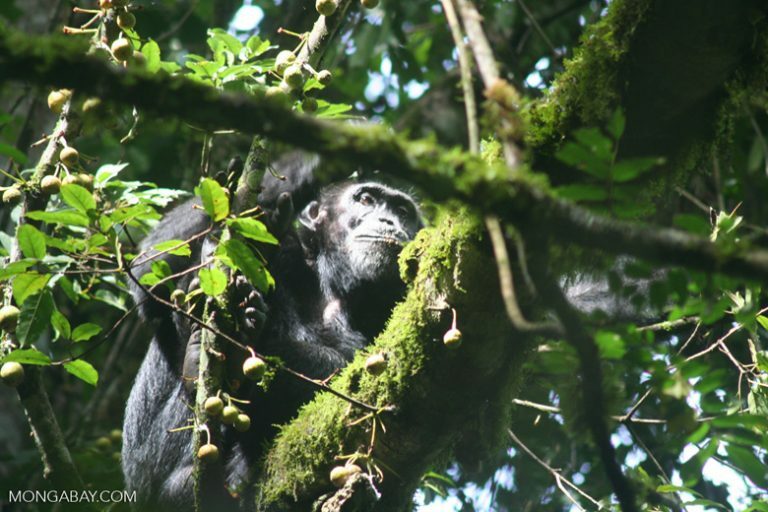 For this study, Morgan and his colleagues used that data to understand what food-providing trees were present and how the changing makeup of the forest influenced where ape species were located. Gorilla nest counts went down when logging began, but they returned to feed on new vegetation growing in logged forests. Photo by Rhett A. Butler/Mongabay. When logging begins, it brings with it human activity and disruptions such as roads into an area. As a result, the team found that the numbers of both gorilla and chimpanzee nests initially declined. But while chimp numbers stayed low in logged forests, the scientists report that gorillas moved back into recently logged areas as plants in the understory began to come back. “We suspected all along that, because they feed on a lot of these ground herbs, that they’ll do fine in that habitat with that type of undergrowth,” Morgan said. Chimpanzees prefer feeding on fruit, as gorillas do, but they seem to have a tougher time switching to the grasses and other vegetation that sprout after logging occurs. While the company wasn’t targeting fruit trees specifically, Morgan said it’s possible that some were cleared from the forest during road construction or as crews were going after other species. The findings suggest that gorillas are better-positioned to handle the changes to the forest that logging brings — at least to a point. Western lowland gorillas are listed as Critically Endangered by the IUCN, while the central sub-species of chimps is Endangered. And changes are coming to the Kabo concession as a second round of logging is slated to conclude by 2020. After that, Morgan said, many of the high-value timber species will be gone, raising questions as to how the company will continue to turn a profit and what changes in their strategy might mean for apes. The researchers postulate that chimps’ territorial nature may make it more difficult for them to return to logged forests. Photo by Rhett A. Butler/Mongabay. 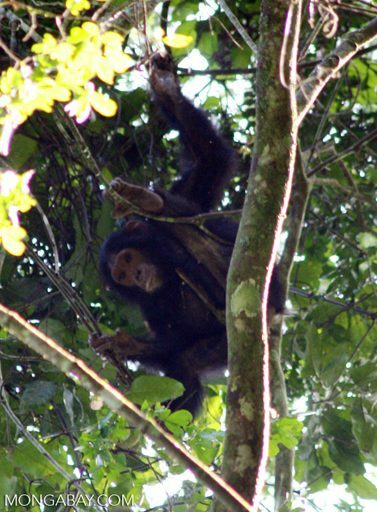 The authors report that companies operating in Kabo worked with the government and conservation groups to limit the impact of logging on the wildlife present in the area, including selectively harvesting trees at specified times and in certain spots so that entire ape habitats weren’t affected all at once. The company also closed roads once they were no longer needed to encourage the regrowth of the forest. 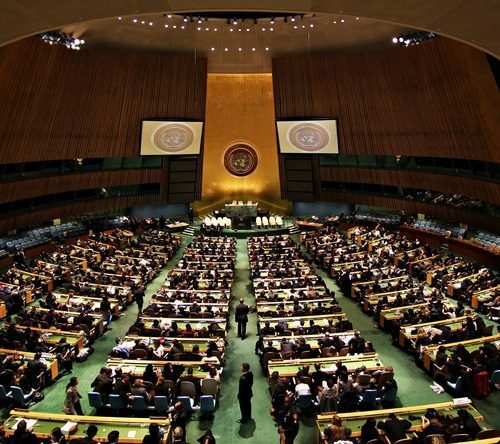 But the future of the concession and how it will be exploited isn’t yet clear. Kabo sits south of Nouabalé-Ndoki National Park. Morgan figures that the concession is home to “an awful lot of chimps, gorillas and elephants,” though he and his colleagues are still working out precise numbers for later publication. 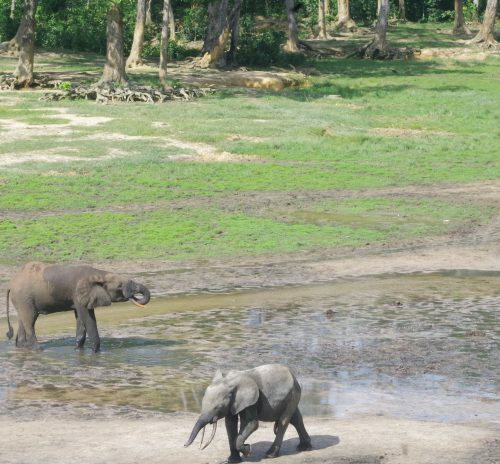 The authors suggest that strategies to delineate high-priority areas for conservation, including those that have large stockpiles of carbon, could provide alternatives to logging in the future that would also help protect the region’s wildlife. But Morgan said that the pressure will be there to continue logging places like the Kabo concession.